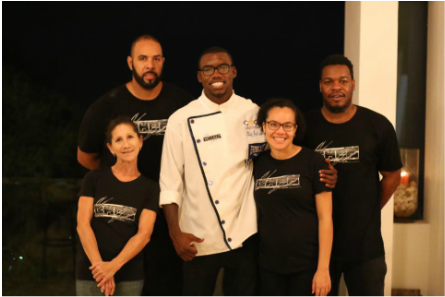 The Chef's Cooking Lab is an interactive, one of a kind catered social event, where guests come to eat delicious, freshly made food. This is the perfect event for individuals looking to create authentic gourmet cuisine in their own homes, social individuals looking to mingle with a great group of people, or a great date night idea for couples seeking inspiration. Not only does Chef Jackson cook for his 15-30 guests, he also explains and demonstrates his dishes, ingredients, and cooking techniques at the same time. With a very relaxed atmosphere, you can choose to pay close attention to the Chef and his demonstrations or just socialize and mingle with the other guests. And enjoy drinks and dessert as well. The Chef's Cooking Lab is a unique, enjoyable experience your guests won't forget. Through the form below or at juliusthechef@gmail.com.